All good pet owners want to take care of their dogs and make them as comfortable as possible. Dogs get arthritis just like we do and like a soft place to sleep. If you have an old dog, or a dog with joint problems, it can be hard to help your loyal friend get comfortable. 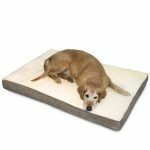 Investing in an orthopedic dog bed is a great way to help your dog rest easier and give him some much deserved relief. 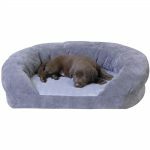 These beds are generally more expensive than regular dog beds because they need to provide a more comfortable surface with thicker padding. 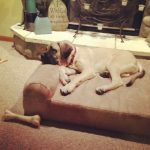 One of the four beds listed here might work to make your dog’s life just a little easier.